Finding people who can “thrive in the grey” has become an increasingly important element of any marketing leader’s recruitment make-up, AGL’s Alison Wild believes. “The ability to deal with very high levels of ambiguity across teams is a key skillset today,” the GM of product and marketing tells CMO, pointing to the significant changes occurring to marketing thanks to digital and customer-led transformation. Wild was appointed GM of product and marketing position at AGL nearly six months ago. The role is one of a number of restructured, executive-level positions introduced as part of an operating structure overhaul in early 2017. AGL now operates two divisions: Wholesale Markets, and Customer Markets (retail). 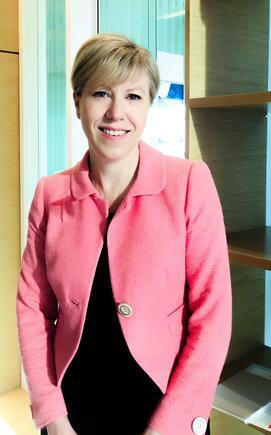 Under the new structure, Customer Markets is headed by chief customer officer, Melissa Reynolds, who in turn is supported by Wild, a GM of digital, GM of customer operations, GM of customer experience transformation, and GM of sales and go-to-market. Previously, the retail arm maintained a GM of sales and marketing, a role formerly held bySandra de Castro,who has now joined Vocus as chief executive of consumer. The realignment of AGL comes after the ASX-listed group unveiled a $300 million customer experience transformation program aimed at putting digital at the heart of the organisation and the way it engages with customers. The program has three core components: Investing in foundational capability, such as IT systems; digital adoption; and building more ‘signature moments’ for customers around their experiences with AGL. It’s this personalised retail quest that’s fuelling Wild’s approach at AGL. But equally, it’s been at the core of her career in recent years. 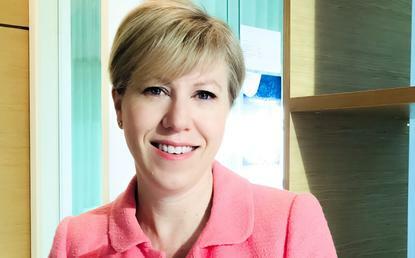 Prior to joining AGL, Wild was director of health insurance marketing at Bupa, and executive sponsor of the group’s customer personalisation program. She has more than 20 years of experience in marketing services, spending the first decade of her career in banking across product and strategy before switching to insurance, then a year’s stint at Telstra. Five months in, Wild sees AGL’s progressive values and very strong customer ambitions as driving forces behind everything she’s striving to achieve. The overarching priority is turning AGL’s vision to be a personalised retailer into practice. This requires a combination of technology and capability, and Wild points to work already done on segmentation as a step forward. The way AGL thinks about segmentation had to change with the shifting energy sector profile, Wild says. AGL already has its data and decisioning platform in place, and invested in Adobe’s marketing technology stack. One milestone experience is AGL Energy Insights, which was trialled between July to October last year and officially launches in May. As part of the pilot, 3000 customers were given digital electricity meters in Victoria, NSW, Queensland and South Australia to provide greater insight into how energy was being used in their homes. These units broke down consumption by appliance categories such as heating, cooling, electric water heating, pool pump, refrigeration and home entertainment. Early use cases of personalisation favour existing customers, Wild argues. “In building out the personalised retail strategy, it’s about personalisation across all touchpoints and channels including our product offerings over time,” she continues. The ambition is to have vibrant interactions and engagements that go well beyond price, Wild says. “Given energy is a grudge purchase for individual customers, we know we have to do a great job of demonstrating value and striking the right balance of value exchange between us and the customer,” she says. Data-driven personalisation of services and using digital to improve customer experiences is a major part of these efforts, too.